Having been a military spouse (Marine) for twenty-three years along with several stateside and overseas moves I am very aware of the challenges and emotional turmoil a family faces during the relocation process. This in combination with education and years in the real estate industry enable me to provide my clients with the knowledgeable, quality service they deserve. 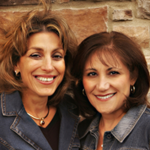 In an effort to better serve my clients, Geri Zayas (Navy spouse) and I pulled our resources together and formed The ‘OZ’ Team. Whether buying or selling a home, we are confident our personalities, knowledge and dedication to our clients will ensure a smooth, stress-free, and enjoyable experience. Our commitment to you is to provide you with service that will exceed your expectations with honesty, integrity, and exemplary customer service. We want you to sit back and relax, we’ll handle it all!